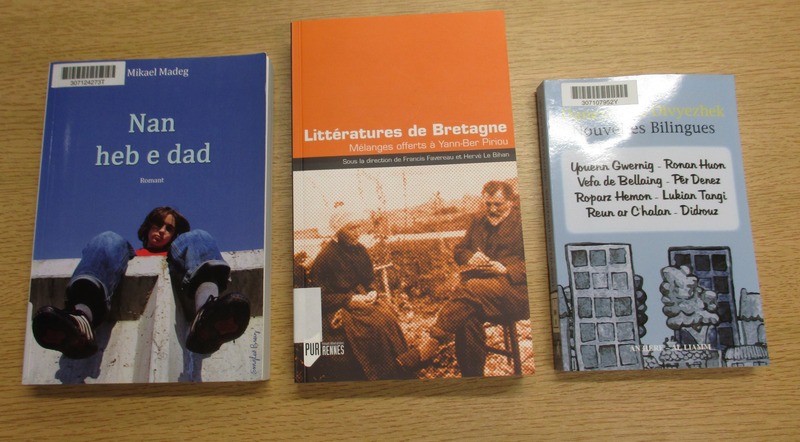 Following on from her popular lecture in the ‘Introducing Endangered Languages’ seminar organised by the Taylor Institution Library in Michaelmas 2015, Dr Holly Kennard gives an overview of the library’s Breton collection from the perspective of a linguistics researcher. Breton is a Celtic language, part of the Brythonic branch of languages, closely related to Welsh and Cornish. It is spoken by about 200 000 people in western Brittany, in northwest France. It has a long history of folktales and traditional music, much of which has been passed down orally through the generations. There are no longer any monolingual speakers, and Breton is considered to be an endangered language, with most of its speakers now quite elderly. 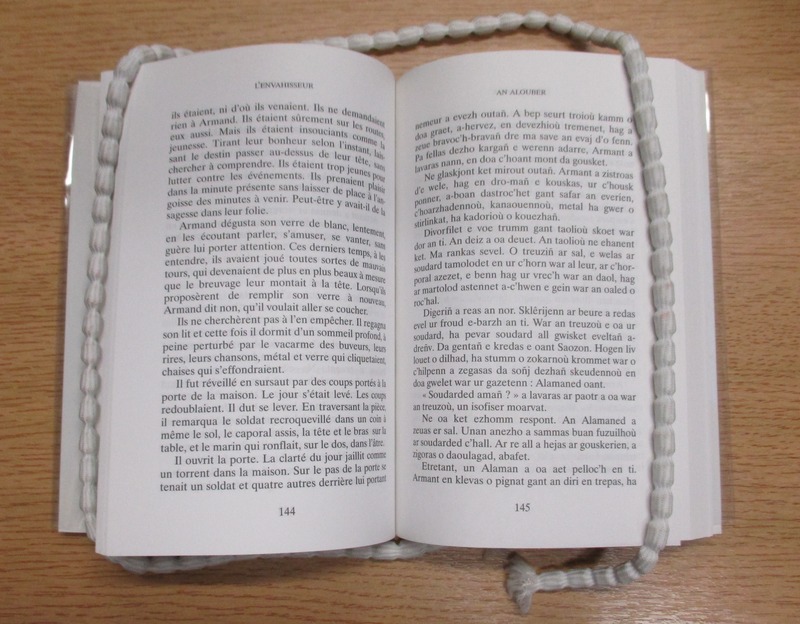 However, language activists have been campaigning for the future of Breton, and this has seen a resurgence of interest in the language, with the establishment of Breton-medium education, broadcasting, as well as an increase in material published in Breton. 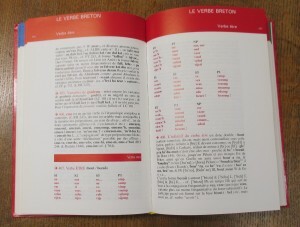 I have had an interest in Breton for a number of years, beginning first as an undergraduate studying French and Linguistics, and continuing through to my DPhil, where I focused on Breton morphosyntax in contrasting groups of older and younger speakers. Breton presents an opportunity to study an endangered minority language as well as language revival, which I find fascinating, but I am also interested in aspects of its grammar – for my thesis I examined word order patterns and initial consonant mutation, and I am about to embark upon a project looking at grammatical gender and metrical stress. 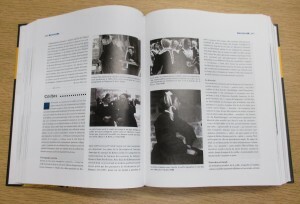 The particular strengths of the collection at the Taylor are its breadth – it has a wide range of both books and periodicals – and its combination of classic texts (like early descriptions and dictionaries) and very up-to-date publications. 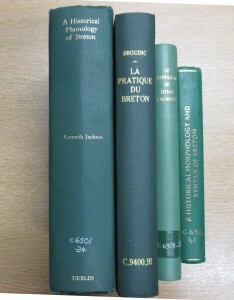 I often use the ‘classic’ linguistics texts such as Kenneth Jackson’s Historical Phonology of Breton and Roparz Hémon’s Historical Morphology and Syntax of Breton. Although written from a historical standpoint, these seminal works provide detailed and valuable descriptions of Breton, as well as explaining a range of regional variation. 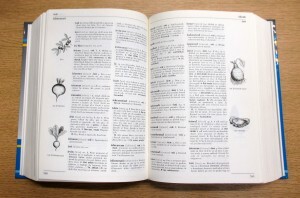 The collection houses a number of dictionaries from different periods, and with different foci: early dictionaries such as Grand dictionnaire franҫais-breton, as well as more modern editions such as the Elementary Breton-English & English-Breton dictionary, which is likely to be more accessible to a beginner. 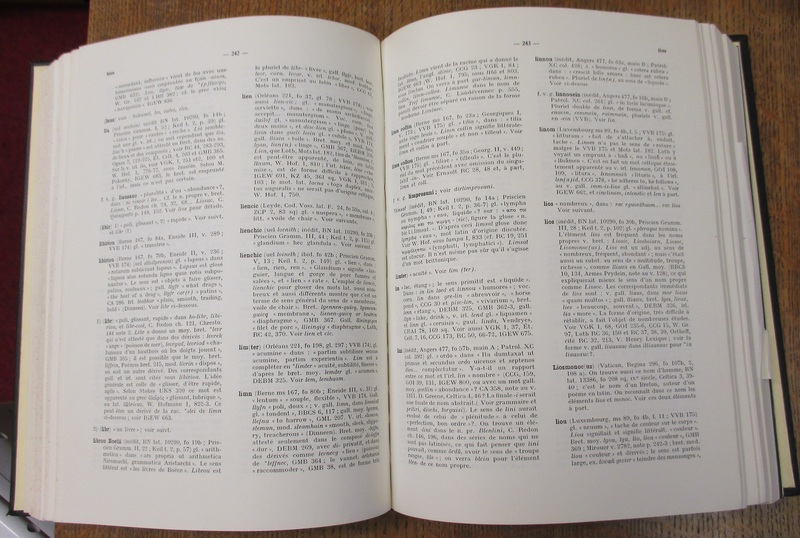 There is a large monolingual Breton dictionary, Geriadur brezhoneg gant skouerioù ha troiennoù, and then there are the more specialist works such as Per Denez’s dictionary of the Breton of Douarnenez, a dictionary of Old Breton, and even a dictionary of Breton place-names, Albert Deshayes, Dictionnaire des noms de lieux bretons and family names, Albert Deshayes, Dictionnaire des noms de famille bretons. I find the selection of Breton grammars particularly useful. 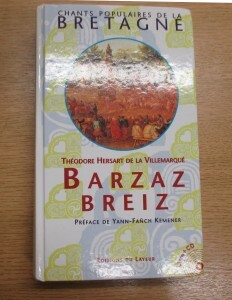 The classic is Kervella’s Yezhadur bras ar brezhoneg, but as it is written in Breton, it is perhaps less accessible to a general audience. 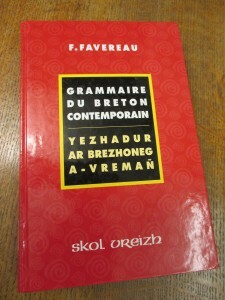 My default choice for a reference grammar is Favereau’s Grammaire du breton contemporain, as well as Press’s book, A grammar of modern Breton, which is written in English. 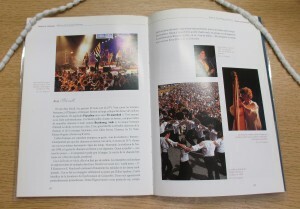 Of course, the collection goes far beyond reference works such as the above. 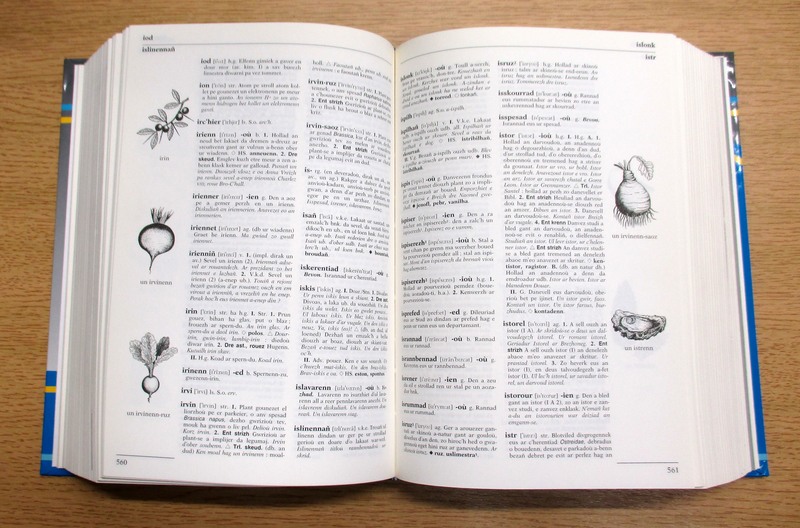 From my perspective as a linguistics researcher, the descriptions of dialects are very valuable – often, researchers have published detailed doctoral research into an individual dialect, which is really interesting. Le breton de Léchiagat, by André Sinou is one such example. 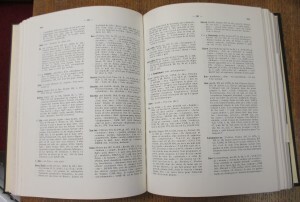 Of course there are also the Linguistic atlases, which deal specifically with regional variation – compiled over the twentieth century, they also allow a glimpse of language change in progress, and are a valuable reference point for linguistics researchers. This is particularly important for an endangered language like Breton, since documentation of regional forms while they are still being spoken is vital. 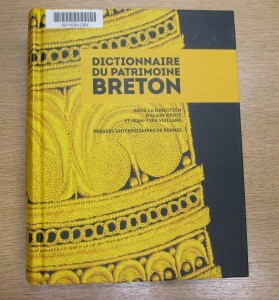 The collection also contains Middle and Early Modern Breton texts, as well as dictionaries of Old and Middle Breton, and etymological works, allowing researchers to document longer-term language change, and study how Breton differs from its closest neighbours, Cornish and Welsh. The Catholicon is a particularly famous work – first published in 1464, it was not only the first Breton dictionary, but also the first French dictionary, and gives words in Breton, French and Latin. In my own work, I am obviously interested in the above, along with other linguistics works. 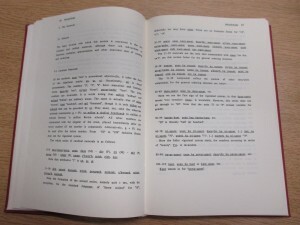 I also frequently refer to the Breton journals that the library holds; in addition to the Journal of Celtic Linguistics, which is a more general journal, I use La Bretagne linguistique and Klask, which is the Celtic journal produced in Rennes. However, there is also a wide range of Breton-language literature available in the Taylor. In addition to books written entirely in Breton, there are also bilingual (French-Breton) texts, and a range of translations, which are helpful for language learners. Not only is this interesting as a mark of how much publishing in Breton (at one time very rare!) has increased, it also constitutes in itself a valuable corpus. I hope to draw on this as I begin my next project, when I will be looking at the Breton of younger speakers/writers. This entry was posted in Collections and tagged Breton, Celtic, endangered languages, linguistics on 16 December 2015 by Dan Q.